I thought I have lots of chocolate bars in the refrigerator. When I was about to prepare the ingredients to bake this teabread, realised that I didn't have enough of dark milk chocolate. 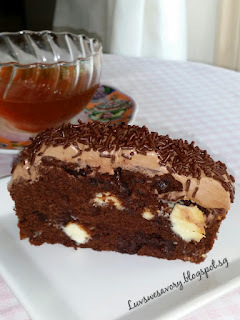 So I modified slightly to the recipe with mixture of some white milk chocolate and replaced with chocolate rice to sprinkle onto the buttercream. Recipe adapted from the cookbook *Just 5 Ingredients Cakes & Desserts Published by Hamlyn (see *note below). 1) Grease a 500g or 750ml loaf tin and line with non-stick baking paper. 2) Preheat oven to 160ºC. 3) Sift the flour together with cocoa powder and set aside. 4) In a clean mixing bowl, whisk the butter and sugar with electric mixer till light and fluffy. Add the eggs, 1 at a time beat till combined. 5) Add the sifted flour continue to whisk for about a minute until light and creamy. Mix in the chopped chocolate to the bowl. 6) Spoon the mixture into the prepared tin and level the surface. Bake for about 50 minutes or until firm to the touch, a skewer inserted into the center comes out clean. 7) Loosen the cake and transfer to a wire rack. Peel of the lining paper and leave to cool. In a clean mixing bowl, beat together butter and icing sugar till pale and creamy with electric mixer. Add in cocoa powder and mix till incorporated. Spread the buttercream over the top of the cake and sprinkle about 3 tablespoons of chocolate rice. When I saw the published title "Just 5 Ingredients Cakes & Desserts" ... I literally thought that all the recipes use only 5 or less ingredients. But according to the author "this series requires you to remember a few storecupboard extras only (eg. Flour, sugar, baking powder, oil etc.) ... make sure you have at least some of them at home at all times so that you know you are just five ingredients away from a decent dessert." 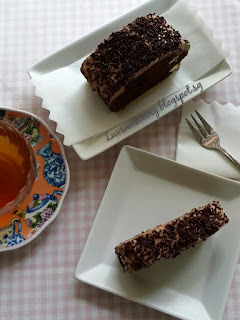 Our weekend afternoon tea break with slices of decadent chocolatey teabread! Enjoy & have a great weekend ! 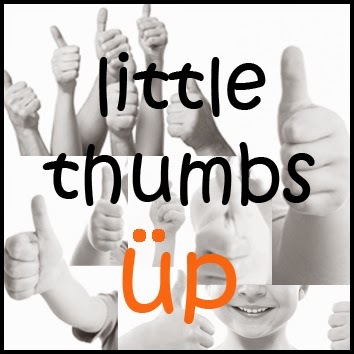 This post is linked to the event Little Thumbs Up (August 2015 : Brown Sugar and Molasses) organised by Zoe of Bake for Happy Kids and Doreen of My Little Favourite DIY, and hosted by Jess from Bakericious. great tea bread..very resourceful in your substitution..
Hello Janet, thanks for your compliment and thanks for dropping by my post. 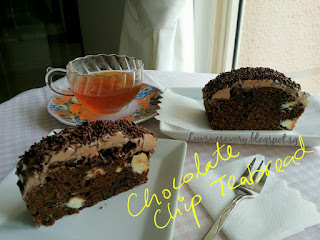 Your chocolate tea bread looks so inviting and would be so nice with the cup of hot tea! Thanks Nancy. Hee .. hee.. I had it with hot tea, nice! Glad that you dropped by, Mel. Hi Karen, you always make the most delicious desserts, this looks like another great one. Delicious! Thanks for the compliment. It tasted good ... chocolatey. Occasional indulgence. .. heee .. hee! 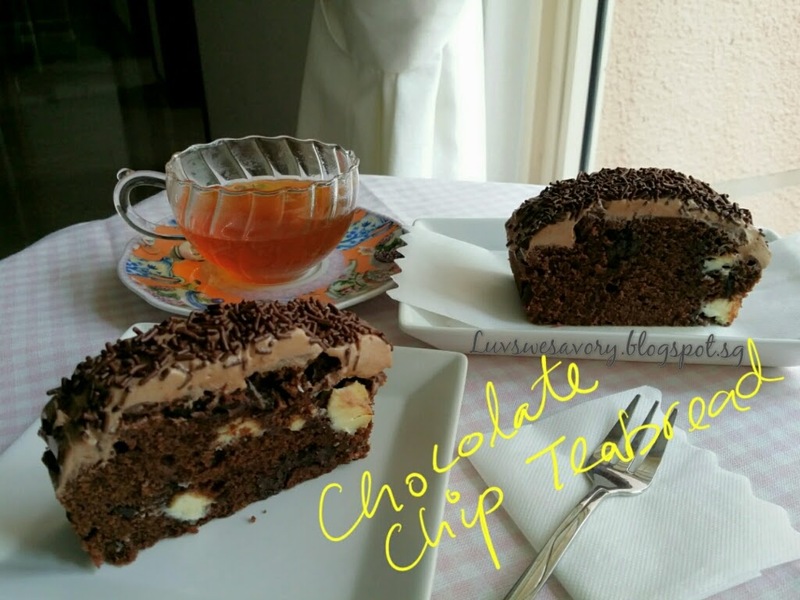 Karen, your Choc Chip Teabread looks really good! This is the sort of cake that will make me abandon my diet and eat a big slice! Ha ha ! Very true but I'm very disciplined ... took that thin slice! woa Chocolate cake, always my favourite. I would LOVE to have these for my afternoon tea!!! !